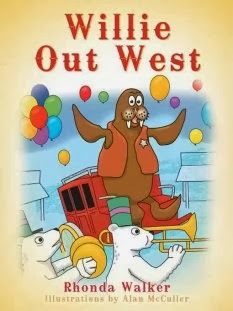 Young Willie Walrus leaves his ice home to travel on an adventure to Big West, where the town's citizens desperately need help. Arriving to cheers, he quickly runs into Old Walter, the One-Eyed Whale. Colorful illustrations and action take readers to an Old West town where the citizens expect Willie to save them. Can he? WILLIE OUT WEST is a children's book with beautifully done color illustrations and an engaging text. I read it out loud in one sitting to my two little girls and both were captivated by the story and the illustrations. Both girls gave it five stars and liked it a lot. Believable or not, it is a very cute story and fun to read. As an adult, it was fun reading it with different voices for the characters. I recommend this book for children. There isn't a spiritual message, or even a life lesson, but it a cute story. 24 pages. $3.99 (kindle) or $12.99 print. Publish your work with WestBow Press. Get a free publishing guide now! Enter Today | 1/22 - 2/11! Lindie Wyse thinks an arranged marriage is the only way to preserve a future for herself and her unborn child. Josiah Plank is certain he’ll never love again, but he needs someone to care for his deaf eight-year-old daughter, Hannah. The two take on their arrangement tentatively at first but soon realize they are each in for more than they imagined. After a short time, Lindie experiences a breakthrough with Hannah when she recognizes the child’s special gifts, but a risky pregnancy and serious health issues threaten to demolish the foundation Josiah and Lindie are building—and the love that is growing between them. A MIRACLE OF HOPE is the first book in Ms. Reid’s newest series An Amish Wonder. Set in the upper peninsula of Michigan, an area of Michigan I had no idea any Amish lived. I enjoyed getting to know Josiah—though I did worry about him and his health, and was glad he had a doctor on top of things. I also loved the way he cared for Lindie even though he’d “never give her his heart.” I was glad Lindie struggled through Hannah’s issues to win her heart, too. Ms. Reid includes the supernatural in her writing. This book has a lesser amount than Ms. Reid’s first series, but it is still evident with Hannah’s gifts. 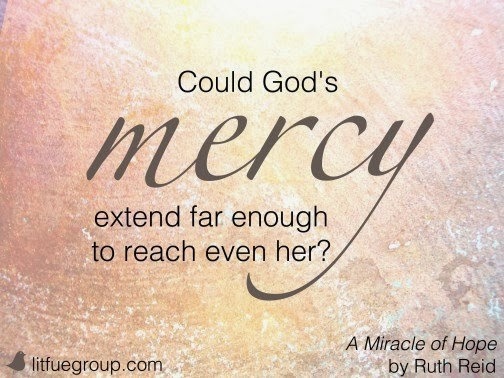 If you like Amish fiction, then you will want to read A MIRACLE OF HOPE. My daughter loves this book—and all of Ms. Reid’s fiction and read it twice in less than a week. $15.99. 352 pages. 4.5 stars. The wedding's abandoned, and the clouds of political disaster loom overhead. The fire that almost ended Eden's life has put an end to the promise of marriage. While saving Eden, Rafe lost not only his eyesight, but also his independence, his determination, and his pride. In a short letter, he ends Eden's hope for happiness. Hurt and angry, Eden sails to the leper colony on the island of Molokai where her mother is suffering. During Eden's year-long absence, Rafe seeks medical care in San Francisco and eventually regains his sight. Returning to his coffee plantation on the Big Island, Rafe finds the beautiful Bernice Judson waiting. This is the year of decision. Hawaii is on the brink of revolution. The anti-Royalists threaten to depose the Hawaiian queen and bring the Hawaiian Islands under the Stars and Stripes. Eden must choose a side in politics and where to put her trust. Will Eden discover the painful lesson God wants her to learn? And will she ever find healing for her broken heart with or without a life that includes Rafe? JEWEL OF THE PACIFIC is the third book in Ms. Chaikin’s series The Dawn of Hawaii. These books are not stand alone and readers should read The Spoils of Eden and Hawaiian Crosswinds first. I did read the previous two books, but it’s been over two years since the last one came out and I was still quite lost in this one. So readers will want to refresh them memories by rereading the first two books. Ms. Chaikin is certainly talented in prose, painting such a vivid word picture of the setting that the reader can literally see the exactly blue of the sky and know how many clouds floated in sight. The setting is very beautifully portrayed, but as a result it does slow the story down considerably, making it almost drag at times. Still, Eden is a very believable character, loving and kind, and Rafe also. The story is set in a real time period of Hawaii’s history, with some very real people appearing as characters in the book. Ms. Chaikin included a directory of who people are, whether they were real or imaginary, and a map of the islands. She also included a glossary of Hawaiian terms, which was very helpful. 352 pages. $14.99. What started as a whim turned into an accidental---and very public---engagement. Can Layla and Seth keep up the facade in Chapel Springs this holiday season---for the sake of her career . . . and his heart? Under normal circumstances, Seth Murphy---the best friend of Layla O'Reilly's ex-fiance---would be the last person she'd marry. But the news of their upcoming (and phony) nuptials convinces a big client that Layla may be high-society enough to work for his agency---a coup that would put her fledgling home-staging business on the map. Seth has secretly loved Layla for years, even when she was dating his best friend. Maybe she'll never forgive him for the way he hurt her back then, but he has to try. And Layla is willing to keep up their engagement farce until she's landed her client. A DECEMBER BRIDE is great. 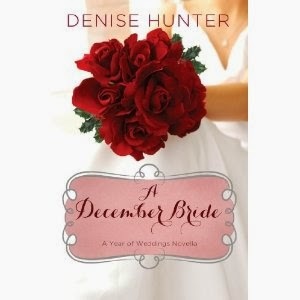 As a December bride myself, I totally love the idea, and the premise behind this story. Layla is a sweet heroine, hurting, and desperate to move out of her low paying waitress job into her dream career. And Seth is desperate to win her heart—whatever it takes. Seth is a true hero. He can think on his feet, coming up with solutions quickly and seemingly effortlessly. I loved him. And I love Ms. Hunter’s toe-curling romances. This was a wonderful read, and even through it is short, it is satisfying. LOVED it. Don’t miss A DECEMBER BRIDE. 94 pages. $3.63. 5 stars. Book Spotlight: Captured by Moonlight and giveaway!!!! Answer the question to be entered for a giveaway of an e-book of Captured by Moonlight and the first book in the trilogy, Shadowed in Silk. Include contact information. Question to answer: Do you believe God loves you when you are going through sad and even terrible times in your life? Christine Lindsay's latest release is a short contemporary Christmas novelette, HEAVENLY HAVEN available as an Ebook. Christine loves to write Christian novels with strong love stories and equally strong family life themes such as her multi-award-winning debut novel SHADOWED IN SILK which is set in India during a turbulent era. Christine's long-time fascination with the British Raj was seeded from stories of her Irish ancestors who served in the British Cavalry in Colonial India. 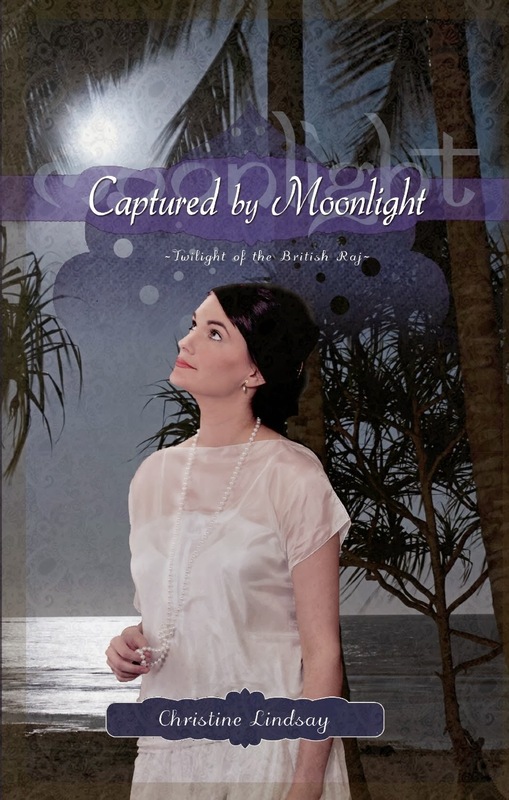 CAPTURED BY MOONLIGHT is Book 2 in this series Twilight of the British Raj, and she is currently writing VEILED AT MIDNIGHT the third book to this series which will be released August 2014. Coming out in February 2014 is LONDONDERRY DREAMING, a contemporary romance novella set in Ireland. Adding to Christine's Irish pride is the fact that her great-grandfather and her grandfather both worked as riveters in the Belfast shipyard and one of the ships they built was the Titanic. The Pacific coast of Canada is Christine's home, and like a lot of writers, her cat is her chief editor. WITH AUTUMN'S RETURN is beyond a shadow of a doubt, Ms. Cabot's best book yet. I couldn't put it down! Elizabeth is a female doctor, struggling to make it in a man's world, but unlike other books I read with historical female doctors, Elizabeth is friendly, approachable, quick to forgive, and beautiful. Not only that, but she is ready and willing to defend her position in the medical world, and yet willing to take patients most respectable women shy away from. Jason is an attorney, and as the book opens he is in court defending a man accused of murdering his wife. Only after the trial ends, he learns the man was not innocent, and he was duped--big time. Now the town is torn in whether to trust him or not. A lot of the town folk openly shun him. There is a hint of a suspense in the pages. People are being murdered--who will turn up dead next? When I opened this book I thought - oh, no. Another female doctor. But Elizabeth and Jason won my heart. This it the third book in Ms. Cabot's Westward Winds series. Even though it stands alone, readers will want to read Summer of Promise and Waiting for Spring first. 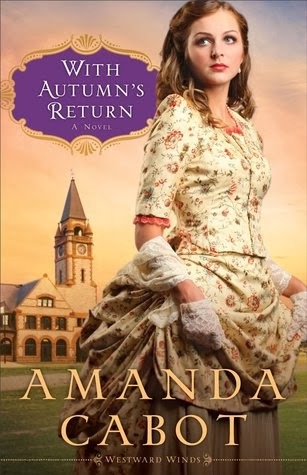 This series and especially WITH AUTUMN'S RETURN is highly recommended. Aaron Troyer simply wants to farm like his father and grandfather before him. But instead he finds himself overseeing the family's small group of guest cabins nestled along the banks of Pebble Creek. That also means he must work with the cabins' housekeeper, Lydia Fisher. Together they work to make the vacation property profitable, but can they find out the identity of the culprit before more damage is done? And is Lydia's dream of a home of her own more than just a wish and a prayer? A HOME FOR LYDIA is the second book in Ms. Chapman’s Pebble Creek series. Readers will want to read A Promise for Miriam first as Miriam and her husband (and daughters) are prominent point of view characters in A HOME FOR LYDIA. Aaron Troyer is angry to be the one to have to come to Wisconsin to make sure his uncle’s property is fixed up and sold or managed. He wishes someone else would’ve been chosen, especially when he arrives to meet hot tempered Lydia and the run-down cabins. The scenery is beautiful, but does nothing to ease Aaron’s unhappiness or Lydia’s temper. When the two meet, sparks fly, and they have to learn to work together and to get along as Lydia is the house-keeper there and Aaron, her boss. The book is very well-written. I could feel Aaron’s discontent from the very first pages. I felt for him having to be somewhere and do things he’d rather not. I liked him, and hoped he’d find some contentment in his current situation. Lydia took a bit more exposure to like, as she had a bad attitude and temper to match it and didn’t seem to care. It was great to catch up with Gabe and Miriam from the first book A Promise for Miriam again. I’m looking forward to reading A Wedding for Julia. 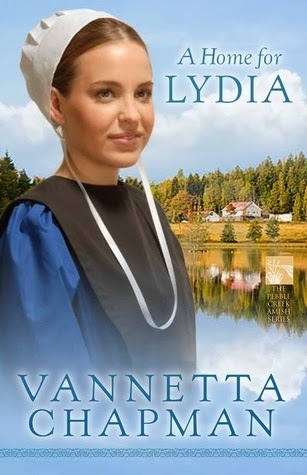 If you like Amish fiction then be sure to pick up A HOME FORY LYDIA. An excerpt from A Wedding for Julia is included at the end of the book. 352 pages. $13.99. 4 stars. 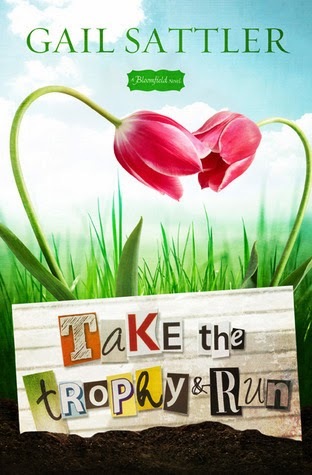 TAKE THE TROPHY & RUN is the first book in Ms. Sattler’s new series A Bloomfield novel. There is a romance in it, but it is mainly about the garden club and her “kidnapped” gnome and trying to solve the mystery of who-dun-it and why. While not a scary mystery with a death, this book has everyone in the garden club in a dither trying to find the missing gnome and the kidnapper. Who would kidnap a garden gnome and why? Is someone sinister a member of the garden club? There are a lot of characters in this story which makes it confusing at time and it isn’t the best written book I’ve read—but Ms. Sattler’s trade-mark humor is out in full force. There are a lot of deliberately misspelled words – like gnaturally (at the end of the book) with the keeping of the gnome theme. Fans of Ms. Sattler, cozy mysteries (without bodies and murderers) and humor will likely enjoy this book. 320 pages $14.99. Author Interview with Christine Lindsay and giveaway!!! Answer Question 8 below to be entered into the giveaway. Include contact information. Whenever I speak, I ask the audience, “If anyone has never had their heart broken, please raise your hand.” Invariably, not one hand is raised. Life is full of heartache. But I have found that if I wait long enough on the Lord, and trust Him with my heartache, He amazingly turns that sadness into something good that will help others, and thereby swing around and bless me too. This is also what my books are about. Stores that are filled with the adventure of living, heartache, love, rising above pain, and finding that plateau of joy when God brings us out of the valley. Veiled at Midnight, is Book 3 in my trilogy Twilight of the British Raj. This book is set in exotic India during a traumatic time, 1947, when the last Viceroy of India, Lord Louis Mountbatten, guided the countries of India and Pakistan into their new independence. There is also a huge love story set against this historical backdrop. I believe in big love stories, and happy endings. Last summer my husband and I decided to purchase a little travel trailer, so we could spend more time together, just having fun. So we try to get away frequently in our little home away from home, enjoying the Lord’s beautiful creation. 4. How do you choose your settings for each book? I think my settings choose me. I fell in love with stories set in India when I was growing up—the great blockbuster epics by MM Kaye set in Colonial India. So romantic, so exotic, so sweeping in grandeur, so that I had to write similar books but from a Christian perspective. 5. What are your hobbies, besides writing and reading? I love my garden. For a break from writing, I love to get out in the garden and get my hands dirty in the soil. Digging holes to plant stuff is a wonderful workout after getting stiff from sitting at my computer. 6. Tell us about Captured by Moonlight. Two women, one Indian, one English, flee to the tropical south of India only to be captured and imprisoned by their respective pasts—Eshana by her traditional Hindu uncle for her faith in Christ, the other, Lieutenant Laine Harkness by her former fiancé who crushed her heart years ago. Amid cyclones and epidemics, tigers and tiger cubs, clashing faiths and consequences of war, will the love of the True Master give hope to these searching hearts? 7. Is there one particular message or “moral of the story” you hope readers walk away with? Oh yes, there is always a deep spiritual message in my books. However, I don’t like preaching, so I try to have that message come through what happens to my characters and how they respond. In Captured by Moonlight, Eshana learns what I am trying to learn. No matter what the circumstances, to trust God—that God can turn those traumatic experiences of life into something good, even if it hurts for a while. To surrender to His care and His will, no matter what. 8. What one question would you like us to ask your readers for the giveaway? Do you believe God loves you when you are going through sad and even terrible times in your life? 9. Tell us about the giveaway you’re offering. Dallas, TX - Auto racing is dangerous. IndyCar racing, with the lightweight, open-top cars hugging the track at remarkable speeds, may be more dangerous than most. Drivers and their teams try to anticipate the mechanical dangers, and ministries like Kingdom Racing try to prepare them and their fans for spiritual dangers found in both victory and failure. “If there is any certainty in racing, it is that everything changes. You can bank on it,” says Kingdom Racing’s Team Director, Charles West. A crash can take a driver out of a race or worse, end a life. Kingdom Racing works to help people cope with such losses through faith in Jesus Christ. The Petroleum Equipment Institute has sought out reports of vehicle refueling fires judged to have been sparked by static electricity. Since 1992, roughly 200 reports have come in. With billions of people pumping gas every year, static electricity isn’t a big problem. But it does happen and it happened to the Del Cantos. In fact, the fire torched the entire car and ruined everything inside. By God’s grace, George and Maricarmen Del Canto were spared. Maricarmen was in the restroom, and George, having stepped a few feet away from the vehicle, was not harmed. On the track, such a disaster might have caused even more damage. Driver and Kingdom Racing team member Davey Hamilton knows that firsthand. During a 2001 race at Texas Motor Speedway, a neighboring car engine blew up, sending Hamilton’s car into the air. He nearly lost his legs, but during his recovery, which involved 21 surgeries and a year in a wheelchair, he was rescued. Kingdom Racing is a growing ministry within Indycar racing. By sharing the gospel and partnering with other ministries, the team uses God’s Word to point people to Christ. 2013 signaled their second full season in IndyCar competition with three cars at the Indianapolis 500 and driver Simon Pagenaud winning both Detroit and Baltimore Grand Prix races. “By building trust among race car teams and fans, we gain a position to share the hope of Christ during good and bad times,” says founder George Del Canto. We are able to share our testimonies of walking with Christ and His faithfulness in our lives just as Maricarmen and I witnessed in Timpson, TX. For more information, visit www.KingdomRacing.net or join their fan communities at Kingdom Racing on Facebook, Twitter and Pinterest. SHADOWED BY GRACE is the newest book by Ms. Putman. I enjoyed getting to know Rachel and Scott. Rachel is a strong heroine, disobeying her dying mother’s advice to not delve into the past, she talks her boss into allowing her to go into a war-torn country and photograph images. Despite his misgivings he gives in. But shooting photographs is not Rachel’s real reason for going. Finding her birthfather is. Because only he will be able to pay for the necessary care to restore her mother to health. Scott is in Italy to help save the monuments of the country—those that the German’s didn’t steal and the soldier’s (both sides) didn’t destroy. But he meets with a lot of resistance as no one is sure who to trust – and how can he guarantee to keep it safer then they can buried deep in caves and other remote places. I have never heard of the monument men before and it was interesting to read about this little known side of WWII. I enjoy reading stories about this time period. The story is slow moving, despite the danger the characters find themselves in routinely. There isn’t a whole lot of edge-of-the-seat excitement. Ms. Putman is a talented writer and I’m glad to have another book by her cross my path. I’m also looking forward to reading more about the monument men in WWII. If you are a fan of Putman, Ms. Goyer’s WWII books, sarah Sundin, or Dan Walsh etal then you’ll want to pick up SHADOWED BY GRACE. $14.99. 352 pages. 4 stars. THE DANCING MASTER is Ms. Klassen’s newest novel, but unlike some of her books in the past, this book didn’t connect with me. I felt sorry for Alec, losing his livelihood and being completely misplaced. A community that doesn’t dance—and it is expressly forbidden, reminded me of a movie that came out years ago—Footloose—but set in regency times. I figured out the reasons for the “rule” early on though, so they came as no surprise when they were finally revealed. I felt sorry for Julia, and like in the movie afore mentioned—Footloose—she rebelled against the rules and bucked authority. The story is well-written. I have no qualms with that. It is slow moving though rather predictable. All it in, it was an okay read, but not one of my favorites. If you like regencies – such as Laurie Alice Eakes, Sarah Ladd, etal, you might enjoy THE DANCING MASTER. Discussion questions are included at the end of the book. $14.99. 432 pages. 3 stars. About the author: Julie Klassen loves all things Jane---Jane Eyreand Jane Austen. A graduate of the University of Illinois, Julie worked in publishing for sixteen years and now writes full time. She is a three-time Christy Award winner and a 2010 Midwest Book Award winner for Genre Fiction. 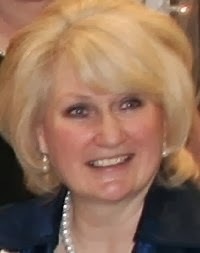 Julie and her husband have two sons and live in a suburb of St. Paul, Minnesota.